Kites - Home-Made Or Bought. Fantastic Fun! 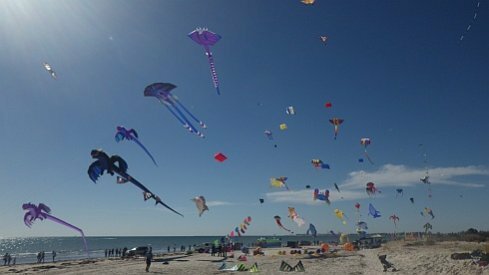 KITES - DIY or BUY? Every New Kite Is An Adventure! Diamonds never go out of fashion! Either way, this kites site has the info and products you need. And either way, there is a lot of fun and personal satisfaction to be had! Why not save a considerable amount of money though, by going DIY first. Flying a kite can be great fun for all the family, from age 2 to 102. Small ones for small kids, even toddlers. Larger or even huge flying creations for, well, the more mature among us who enjoy a building challenge. Besides, bigger usually flies better! Nothing quite compares to seeing your own work floating way up there. The bigger the better. Bask in that 'I made it myself' feeling. But don't get me wrong - the world of modern retail or designer kites is fascinating, and you will find plenty of images and commentary here. There's an Amazon shopping link too, near the bottom of each page. Handy, if you are in a position to purchase these more hi-tech or nicer-looking items. It's almost never too calm - or too windy - to fly, as long as you make the right choices. The information here makes that easy! See that social sharing bar over there, with icons for Facebook, Twitter and so on? If the bar ever gets in the way, just tap on the little triangular arrow at the bottom. The bar will then neatly hide itself while you finish reading the page! Learning to make a kite, of course! Roll your sleeves up and enjoy the construction process. Then get out and fly, with the sun on your face and the wind on your back. Anyone can afford dowels or bamboo skewers, some plastic bags and sticky tape. And the soft designs don't even need dowels or skewers! Sounds very homey and humble - but we routinely have some amazing high flights with these light-weight craft. And yes, there are plenty of photos and videos of all the building and flying action. Visitors contribute their own building and flying experiences. Photos too, from time to time. New stories are always coming in, and the variety is unending! General kiting information abounds here, particularly when you dig a little deeper into the site. A large body of researched facts and photos provide an interesting and educational background on the hobby. Find out about the most popular kinds of fabric and paper designs being flown these days, or in times past. Discover things you never knew. With a click or 2, buy something relevant to what you are reading about. Like the radio-controlled variety being deftly flown indoors in Singapore, or a flexible flying monster the size of a football field! But we'll get to that later. By clicking the Home | what's new! link in the menu at the top of this page, you can stay up-to-date with the latest additions to this site. From any of those areas in that numbered list above. This includes those occasions when I write up flying outings as Flight Reports. 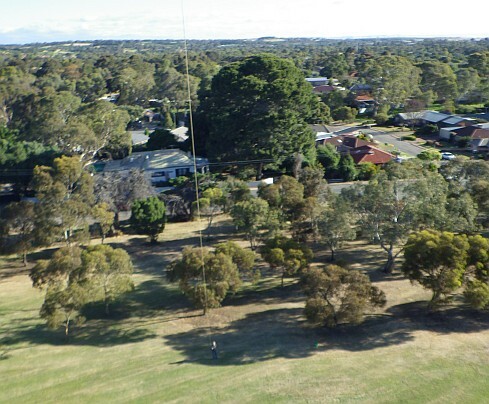 We are based in the city of Adelaide, South Australia, home to one of the biggest annual kiting festivals in Australia, and possibly the whole Southern Hemisphere. The picture over there was taken at one such event, from near the jetty at Semaphore Beach. A moderate-strength Southerly was blowing along the sand, and music boomed from loud-speakers arranged along one side of the wooden planks. At other times, live commentary kept everyone informed about interesting aspects of the aerial display. Although not strenuous most of the time, flying these tethered craft is quite a healthy activity! Office workers can get some much-needed Vitamin D from sunlight, when out flying. Sunlight alone can have a positive effect on your mood. 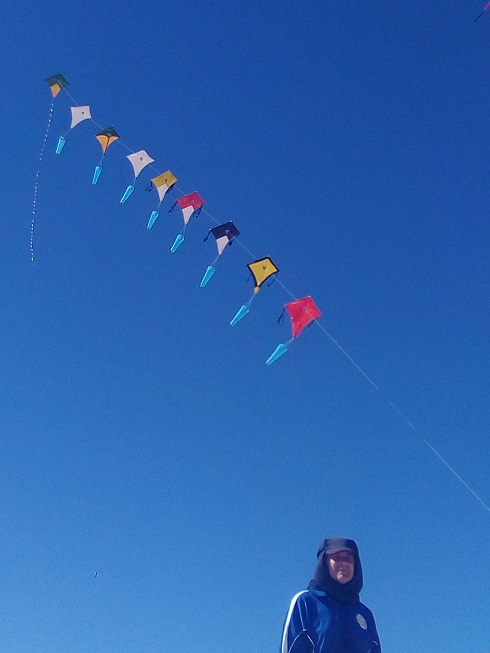 If your kite's up there too, it can boost your mood even further! Breathe that fresh air! We're very fortunate here in Adelaide, in that respect. You can even fit in a bit of moderate exercise sometimes, when towing up to search for faster air! Or even just going for a walk around the field while a reliable kite does it's thing up high. Getting the kids involved too is good quality family time. Depending on how well you can compete with all those electronic devices! In my opinion, every new kite is an adventure. Whether scratch-built or fresh from the delivery tube. Come and join us!